You might not be aware that January 25th is National Irish Coffee Day. While it’s a lesser known national holiday, it’s certainly one that deserves to be celebrated. Irish coffee is a perfect apres cocktail to be enjoyed at the summit, the parking lot, in your tent, or in the baselodge. Warm right up with this delicious boozy brew you can whip up just about anywhere. Obviously, a perfect Irish Coffee starts with coffee. Start with an Infinity Backpacker Mug - it’s insulated to keep your drink warm in chilly weather and the locking lid prevents spillage if you get a little rowdy. 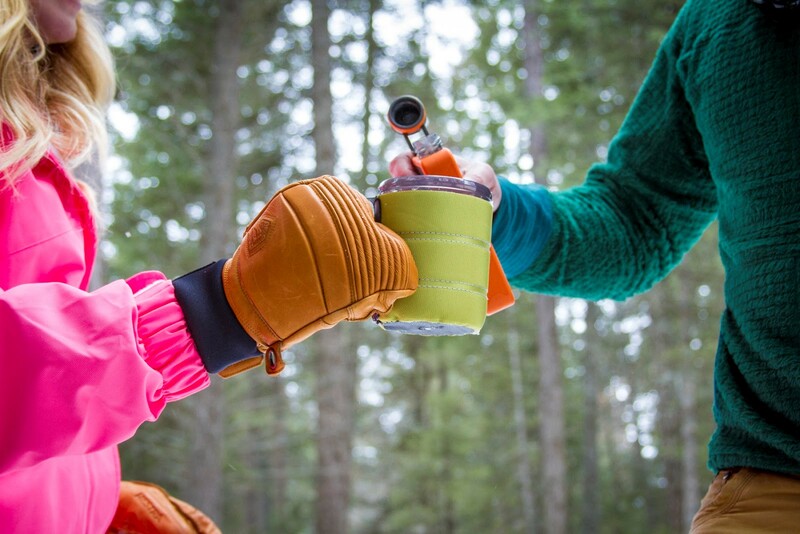 If you’re enjoying a solo Irish Coffee deep in the backcountry, we recommend the Ultralight Javadrip and Halulite Microdualist for pour over perfection. Pour boiling water over two tablespoons of ground coffee and watch your brew drip steadily into your mug. If serving a group of Irish Coffee enthusiasts, spoon approximately half a cup of ground coffee into a 30oz Javapress and top with boiling water. Let sit for 4 minutes, then slowly depress the French Press handle. Pour into mugs immediately or after the whisky and sugar. As always, we recommend the Javamill for fresh ground coffee anywhere, anytime. Once you’ve nailed your coffee brewing method, it’s time to get boozy. Fetch your flask and measure out one shot of Irish whisky into each mug. Drop in two sugar cubes and let dissolve. Top with whipped cream, or, on excursions where a can of whipped cream is an added burden, add a splash of Bailey’s for a creamy finish. If you’re headed on any winter adventures this weekend, don’t forget to celebrate National Irish Coffee Day to warm up after a day in the snow (enjoy your Irish brew safely, of course).